Bollywood megastar Amitabh Bachchan says he is glad with wife Jaya Bachchan‘s decision of working again. “Jaya is my wife and while talking to her we decided about it. 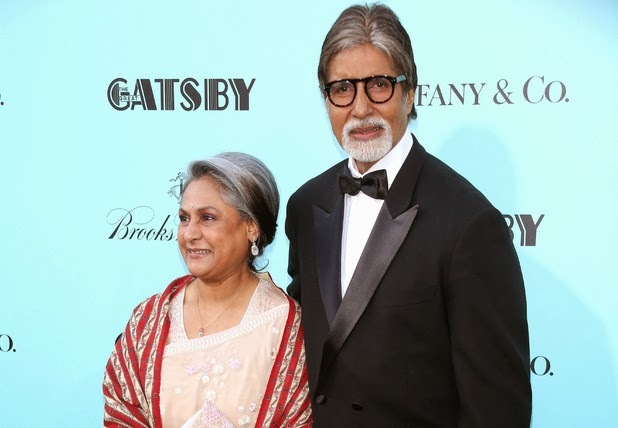 She wants to work and I am very happy about it,” Big B, who gave hit movies like Mili, Abhimaan and Kabhi Khushi Kabhie Gham with Jaya, told reporters at an event. Vasundhara, said to be based on a Gujarati novel, will trace the life of a single parent. To be produced by Endemol, it will be aired on Sony Entertainment Television. Also a member of the Samajwadi Party, Jaya’s last big release was Drona. Dhoom 3 Leaked on The Net!